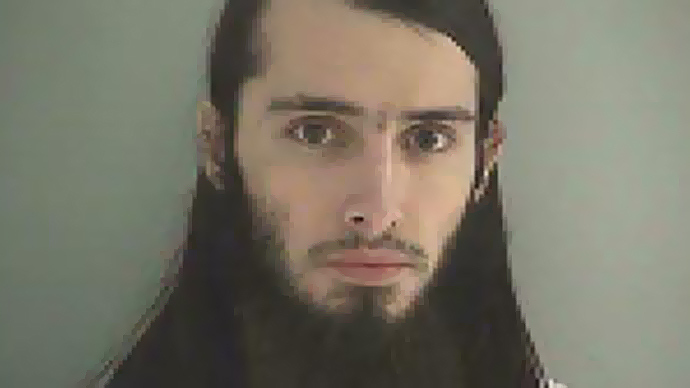 The Ohio man accused of plotting a deadly attack on Capitol Hill told a local news station that he would have shot President Barack Obama in the head had he not been arrested. Twenty-year-old Christopher Cornell, who was arrested made the incendiary remark – threatening to kill the president – to local Fox affiliate WXIX during a telephone interview from jail. Generally, that crime is classified as a Class D felony. Cornell was arrested in January for allegedly plotting to attack the US Capitol and kill legislators. Cornell said that, had he had not been arrested by FBI agents, he would have carried out an alleged plot to plant pipe bombs at the Capitol and at the Israeli Embassy – a plan that he says was organized by the Islamic State. “What would I have done? I would have took my gun, I would have put it to Obama's head and I would have pulled the trigger,” Cornell told WXIX in a telephone interview from a Boone County, Kentucky jail that aired on Friday. Cornell was arrested by the FBI on January 14 after he reportedly researched how to make pipe bombs, purchased a rifle and 600 rounds of ammunition, and made plans to travel to Washington to carry out the plot. He went on to say he believes there are more attacks to come and there are many others like him throughout the United States – specifically naming Texas, Ohio, New York City, the District of Columbia and more. WXIX reported that Cornell’s recent statements have saddened his parents John and Carmen Cornell, both of whom previously stuck by him in January. "Everybody is making him out to be a terrorist and they keep on calling him a terrorist. He is not a terrorist, he is a great person. He is a great son and I love him and I'm going to stick by him,” said Carmen at a hearing for Cornell at the time. But after they heard the interview, John Cornell said it was his son speaking and added, “The kid has totally lost his mind. If he wants to sink himself for life, then we need to move on.” It is not only his parents who might see things differently. The comments might also affect the outcome of Cornell’s case. “The prosecution in this case got a lot easier. When this defendant made those taped admissions, that evidence is clearly admissible in court,” Geoffrey Mearns, Northern Kentucky University President and former prosecutor in the Timothy McVeigh case, told the news outlet. According to court documents, the FBI said Cornell began plotting the attack in August 2014. He met with an FBI informant to discuss his plans and was arrested after he posted on Twitter that he supported the Islamic State. The high school graduate was indicted on three felony counts, including attempted murder of government employees and officials, solicitation to commit a crime of violence and possession of a firearm in furtherance of an attempted crime of violence. If found guilty, two of the charges carry 20 year-sentences and one carries a lifetime imprisonment. Cornell, who is being held without bail, pleaded not guilty on Jan. 21. He is expected back in court in April.